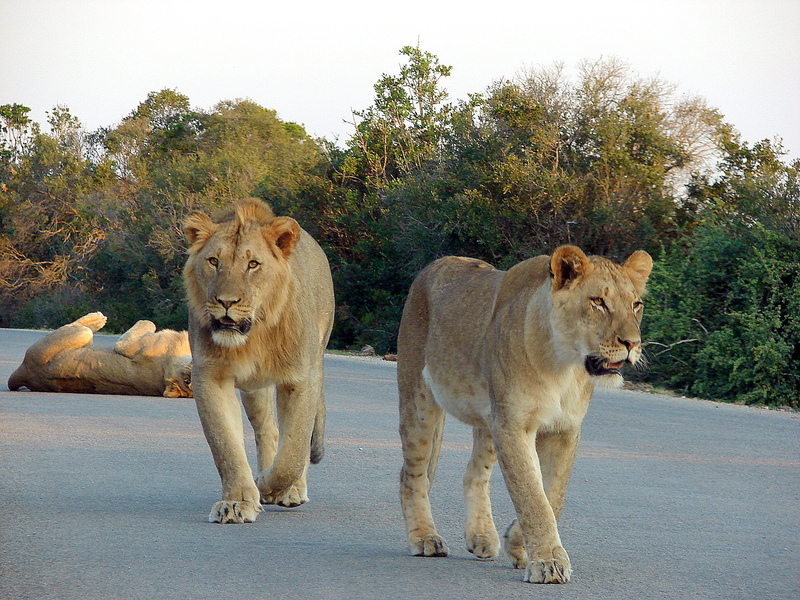 More lions in the road | Addo Lions – Find Addo Accommodation. Two lions walking in the road towards our car. We stopped a distance away from them, but they then started walking towards us. A few sniffs and off they went.